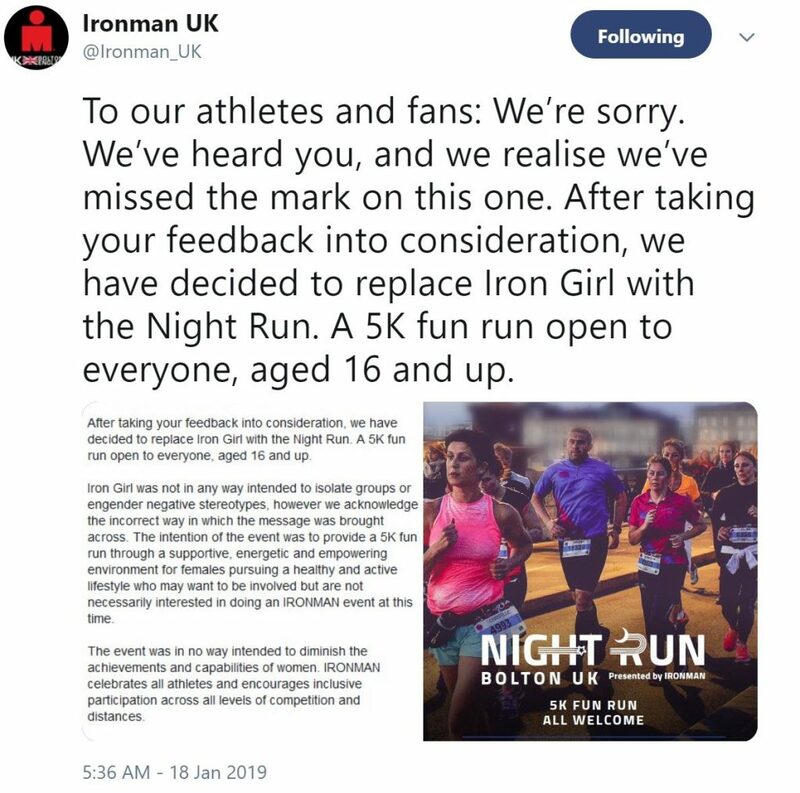 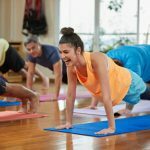 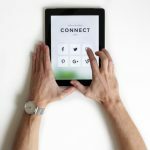 Recently, a campaign from Ironman UK caught my eye on Twitter and it really annoyed me. 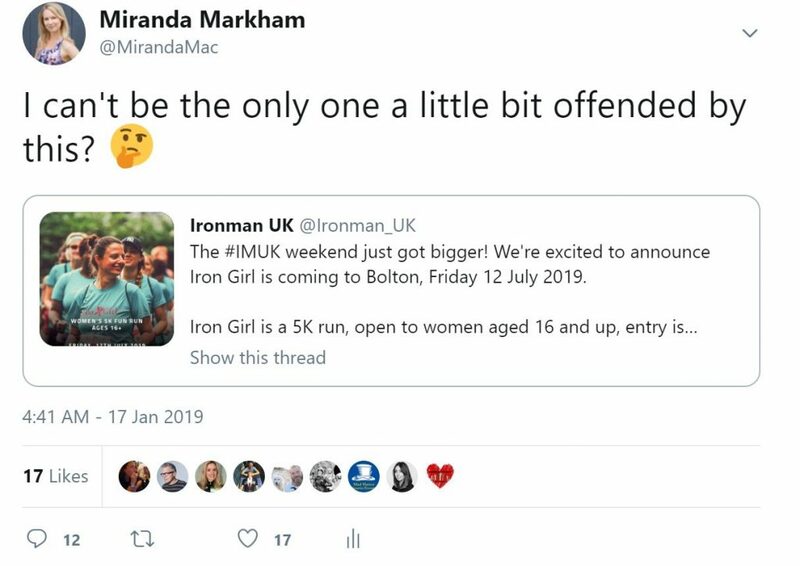 I don’t normally use my social platforms to complain, but this time I had to say something. 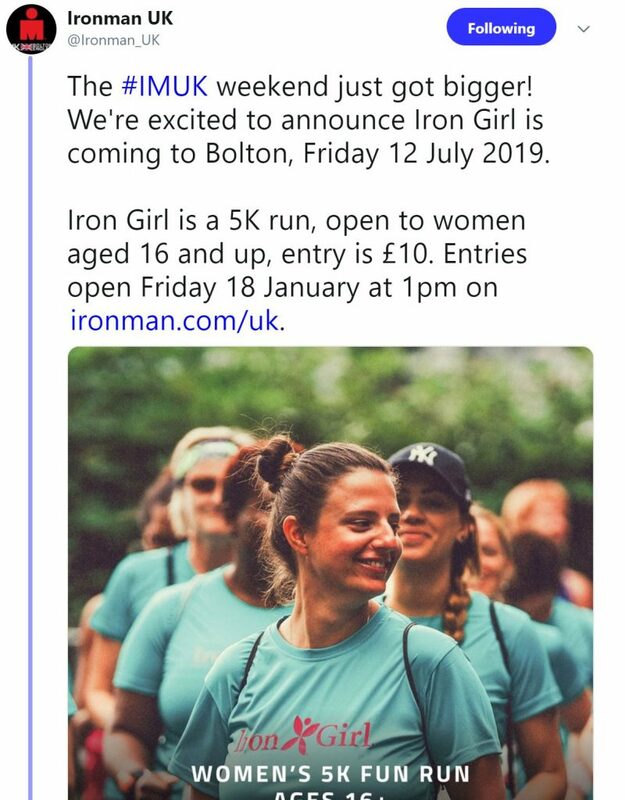 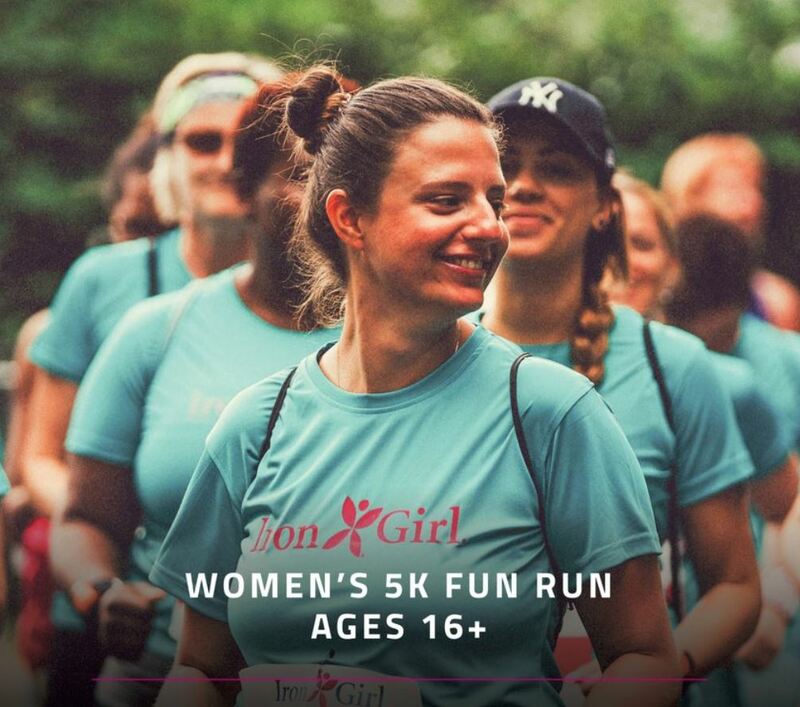 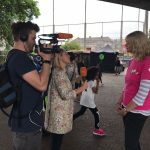 In case you missed it, they launched Iron Girl 5K, a 5k fun run for girls aged 16+ to take place alongside the Ironman event.